while they are in the hospital receiving treatment. Please consider becoming a Monthly Partner with us! 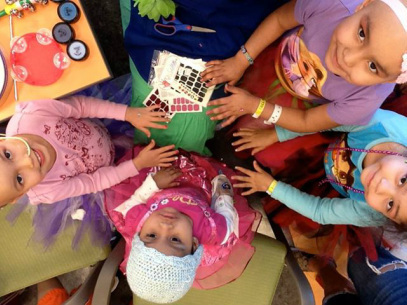 Your support of just $15 or more a month will help bring "Arts Adventures" to one child with cancer, serious blood disorder or life threatening illness. Choose to help one child at $15.00, two children at $30.00 or three children at $45.00. Or as much as you are able. This is an ongoing service for an ongoing need. Your monthly support keeps us going, and is Tax Deductible! Share your review of Discovery Arts with us and the world! If you love our work, then tell the world! Did you know that behind recommendations from friends and families that reviews impact volunteering and donating decisions? You help us raise visibility for our work by posting a review of your experience on GreatNonprofits [a review site like Yelp], but for nonprofits? All reviews will be visible to potential donors and volunteers. It’s easy and only takes three minutes! Amazon is one of the most widely used websites in the world. You can now elect to donate 0.5% of your purchase to Discovery Arts. If you already shop on Amazon, or if you’re looking for the perfect gift for a loved one, we invite you to shop at smile.amazon.com and choose Discovery Arts as your charity of choice. Meetups are the latest craze! In your community gather your friends at a local restaurant or home for a few hours and ask them to bring a donation for Discovery Arts. It's a great way to see your friends, have a great time together and give your time together more meaning... meet for lunch while at work and "Pass the Hat" among your colleagues and associates. The Yard House and California Pizza Kitchen's offer a 20% donation for Meetup's Hosted in Discovery Arts' name. Every time you shop at any Ralph's Grocery Store Discovery Arts receives a donation! Ralphs grocery stores has a great fund-raising program called the Ralphs Community Contribution Program that makes your charitable giving easier than ever. 4. Under Find Your Organization enter DISCOVERY ARTS and click 'search'. 6. Click the Save Changes button to save your selection. 7. You're all set! Discovery Arts will receive a donation every time you shop, at no cost to you. Thank you!!! Volunteer with Discovery Arts to encourage children with cancer and life threatening illness. People that are willing to give of their time and energy are our biggest asset. We really depend on our volunteers to help move our organization and programs forward. Anyone can be a Discovery Arts Volunteer. Volunteers include students, senior citizens, business people, family members of patients, amateur and professional entertainers, teachers and many others. They fill a variety of roles for Discovery Arts. I Want to Volunteer with Discovery Arts! Just click on the logo to automatically sync us for donations, or signup here. Support Discovery Arts in a free and easy way when you shop online! By shopping through Goodshop at thousands of stores like Target and Kohls. Discovery Arts will receive up to 20% of your purchases donated back to us, FREE of cost to you! They are also the best site for deals and coupons, so you can save money on tools from Home Depot or goods from Walgreens while supporting us! It's easy!! All you have to do is search the web!! Go to Goodsearch.com and name Discovery Arts as your charity. Each time you search, Goodsearch donates about a penny a page.... and it adds up!! Shop from the thousand of merchants online and a percentage of your proceeds will be given to Discovery Arts. No extra charges and It's easy!! Register at iGive.com and name Discovery Arts as your charity of choice. 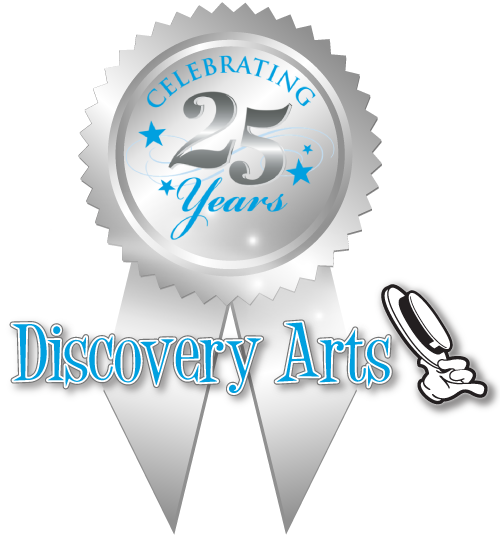 Now you can earn money for Discovery Arts just by searching the web! It's fast, free, and blissfully easy!! Search or Shop!! Visit iSearchiGive.com and select Discovery Arts as your charity!! Either way... you search and or shop and they donate to Discovery Arts!! A lot of people sign up for eScrip through their schools, churches or youth sports organizations, so you may already have an eScrip account and need only to add Discovery Arts to your list of up to 3 organizations! If you don't yet have an account, go to eScrip.com and sign up! Before you get started, there are a few things you should know!! • By using eScrip's Online Mall, Discovery Arts earns up to 16% of your purchases from over 1,000 name brands. • You shop from the same websites you know and trust and pay exactly the same price. • Items you buy are not recorded, just the total you spent from each merchant so you can earn contributions. 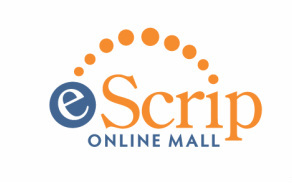 • Be sure to visit eScrip Online Mall first whenever you shop so Discovery Arts can earn every time. Great Theatre Tickets and a Great way to support Discovery Arts all at the same time. When you go to Givenik.com to purchase your tickets to any show be sure to select Discovery Arts as 'My Charity'. Share your artistic talent with your friends and fan base and help us spread the word about the needs these children have.